Volunteers will have a proactive role, assisting the other members of the team, which are already running this project and will help them in their tasks, by taking part in the carrying out activities with children and youth, having always the necessary support, training, orientation in order to plan activities. 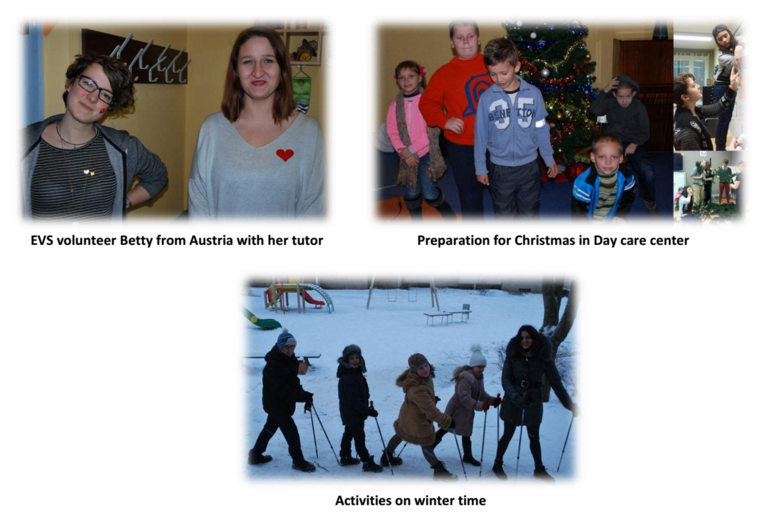 The volunteer will learn how to work in the team and will be part of the Youth Centre team of workers. He/she will have meetings with the staff and other volunteers, to know, what is going on in the centre, to discuss difficult situations and to create new projects. 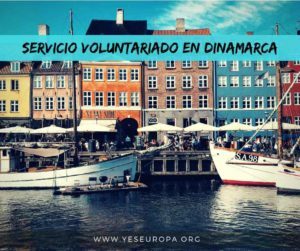 The role of the volunteer in this centre has two characters: assistance in the activities, organized by the other people and embodying own ideas the volunteer may have (musical, artistic skills are strongly recommended). It is very important that the volunteer would be interested in open youth work and responsibly take his/her role, initiative is very welcome. 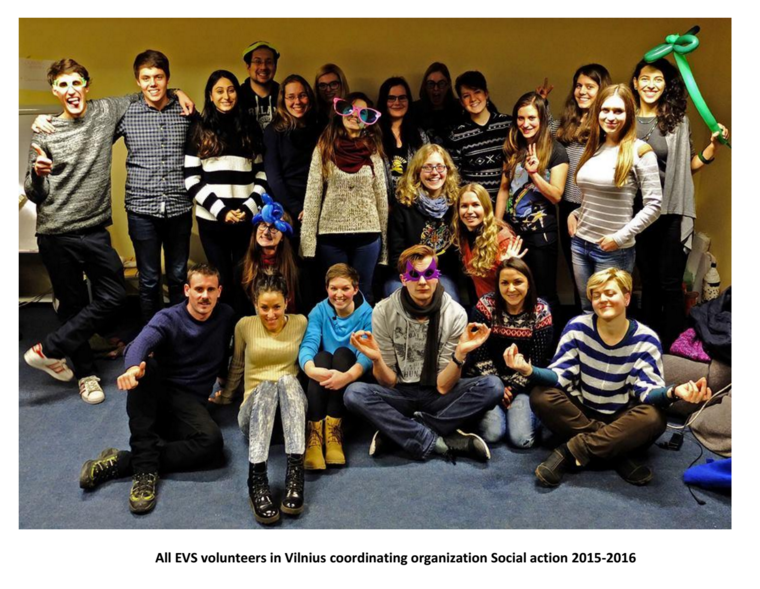 The volunteer will be hosted in flat together with other volunteers in Vilnius. Each volunteer will have their own room. A monthly bus card will be provided. Volunteers will receive food and pocket money every month. 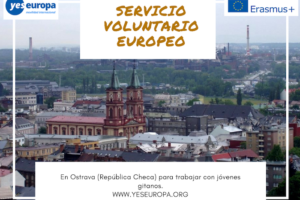 The volunteer will have an integration week organised by coordinting organisation. During the volunteery service, volunterers will also have On-Arrival and Mid Term trainings organised by National Agency. – Adaptation and flexibility in order to participate in specific projects. Through doing outdoor, creative activities, communicating with youngsters, “just being” with them in non-formal space. Volunteer will learn how to make contacts and how to communicate with youngsters with fewer opportunities. EVS program will cover your plane/train/bus tickets to and from Lithuania. Important: for your trip to Lithuania you will have to pay by yourself or ask your Sending organization to pay. Later when you will be in Lithuania we will give you the money back in the first week. About travel details we will talk individually. Important: before buying the travel ticket you must to discuss your travel date and flight details with me, just after my confirmation you can buy it. We will meet you at the airport and show you the place you will live (don‘t forget to bring and keep safe all documents related with your travel: all your tickets, invoices and boarding passes). On the next days of your arrival we will show you our office (in which during all your EVS you will get your monthly money, language lessons, a cup of tea/coffee or just answers you will need). 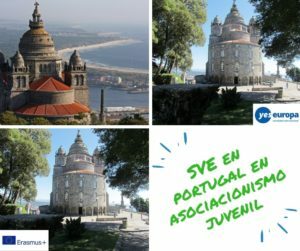 We will show you the place you will volunteer – your host organisation (we will inform you about the date of your first coming to your volunteering place personally). You will live in a 3 or 4-bedroom flat with other EVS volunteers. You will have your own room (with bed, table, chair and cupboard). In your flat you will share kitchen, bathroom, hall and all of you will be responsible of keeping your flat clean and tidy. The flat is old fashioned, but is located in a comfortable place. The stops of local transport will be near your new home. The main dishes, furniture and domestic electric appliances (washing-machine, cooker, and fridge) will be in the flat. If you would need some things/furniture for your flat, please let me know, we will see what we can find more.  Don‘t change anything in the flat. Painting walls, putting posters or other things, dismantling furniture etc. are not tolerable. If you really need to change something, ask us will talk with the flat owner. If you destroy furniture or equipment or walls or whatever, you have to repair it by yourself or for your own money.  Clean the flat at least once a week. Living in a dirty room is pleasurable neither to you nor to your guests. If you live in the flat for few months and don‘t clean it, it gets really dirty, and then someone (it means the lodger) has to clean everything what you left and it‘s not pleasurable for us, too. We ask for your understanding.  Respect your neighbors and try to get on well with them. Endless parties and noise is not the best way to do this. According Lithuanian law, there can be maximum 55 decibels from 6 a.m. to 6 p.m., maximum 50 decibels from 6 p.m. to 10 p.m., and maximum 35 decibels for 10 p.m. to 6 a.m.
Here‘s also forbidden to smoke in the staircase and in the Public Transport stops (or in any public close place).  Always inform if you leave Lithuania and go to see other countries or go to your native country. (We are really interested in where and how you are). And in case of emergency we have to know who‘s living in the flat at the time.  It is forbidden to keep any pets in the flat or to smoke in the flat.  You must make restitution of the damage made in the flat. If there is something damaged or something missing.  Be eco-friendly and do not waste water or electricity in the flat. Be economical while using shower, turn off electricity in the rooms when there are no people. 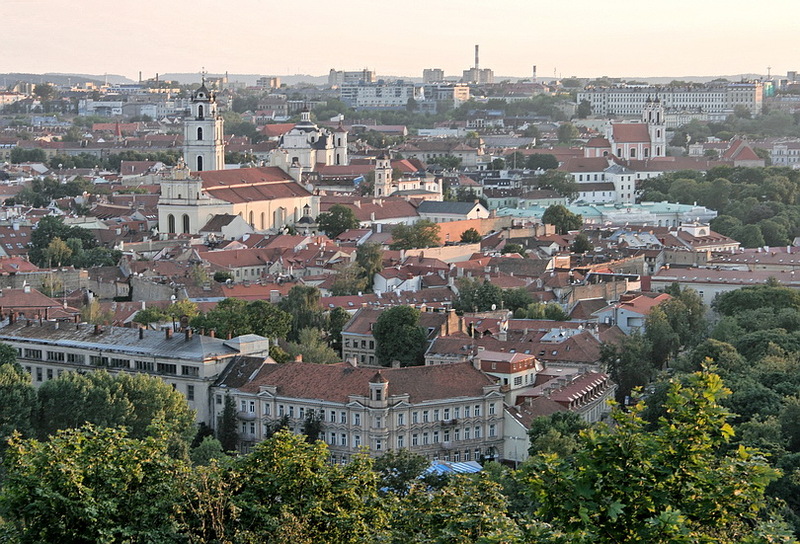 We will buy you monthly local transport ticket in Vilnius city. You will have to have it every time using bus or trolleybus in Vilnius. To know how often the buses and trolleybuses are going, you can check in website www.vilniustransport.lt (you will find some information in English too). Just click on the bus/trolleybus number and you will see a table with the schedule. c) SEKMADIENIAIS IR ŠVENČIŲ DIENOMIS – it means SUNDAY AND FEST-DAYS. Normally the buses and trolleybuses are going till 23-24 pm. Pity, no buses go during the night! At night you can take taxi (please, find more information in this website: http://www.etaksi.lt). 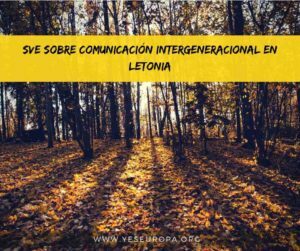 The Lithuanian language training will be provided in the beginning of EVS by Lithuanian language teacher. 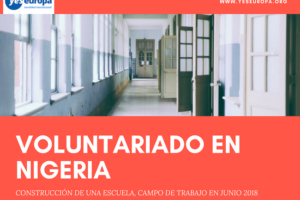 The duration is 36 academic hours, 1-2 times per week according to the individual agreement with the teacher and other volunteers. Coordinator – person in your Coordinating organization who will be responsible for your and Host organization cooperation, group meeting once per month and other answers related with practical EVS details. 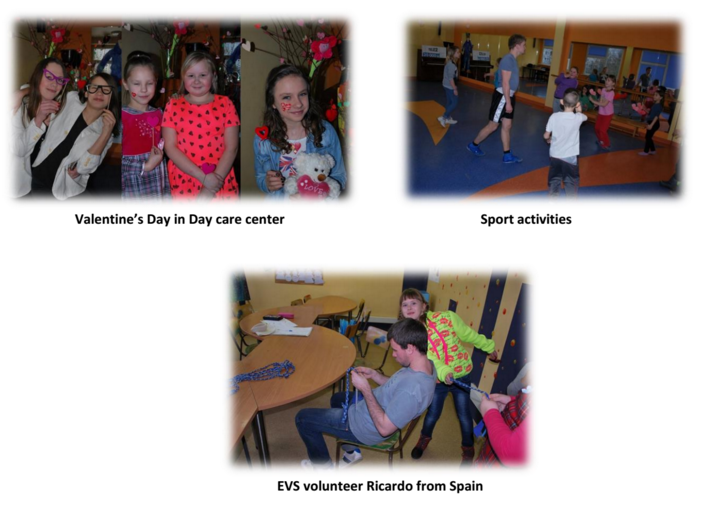 All EVS volunteers are covered by a group insurance plan (CIGNA) specifically designed to protect them during their period of voluntary activity. The cover is compulsory and free of charge to the volunteers. Every volunteer is insuranced by his/her sending organisation. Every volunteer gets the papers from CIGNA, where his/her login and password are written. You have to take these papers with yourself to Lithuania. If you want to get more information about insurance and how it is working you can ask your sending organization. Also with this letter I attached you CIGNA insurance guide, where you can all needed information about how this insurance works. Every month you will receive your pocket money (80 Euros) and your food money (110 Euros). So in total 190 Euros. 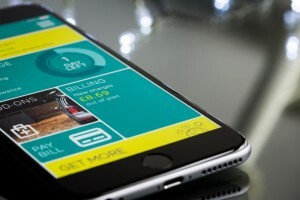 You will get all your monthly money at once, at the beginning of every month. In Lithuania is Euros. You will get your first money on the first days of your arrival to Vilnius in cash. Later we will transfer the money to your bank account.  final evaluation (in your home country organized by your Sending organization. you‘ll get more information about it from your sending organization).  The participant must attend all the group meetings and workshops organized by the coordinating organization one or two times per month, in order to learn, share her difficulties and to exchange her experiences. You will volunteer in your host organization 5 days per week. You will have 2 days off during the week. You also will have 2 additional free days per month for holiday. These days can be divided into smaller period (depends on your agreement with host organization). Please, always let your host organization and me know, about your holiday plans and whereabouts. If host organization needs your help during weekends, you will be able to have days off on another days. 1. Just towels (we will give you pillow, wrap, sheet and other bedclothes). 2. All what you need for your hygiene. 3. Mobile telephone (we will give you a telephone card with Lithuanian number; the telephone has to be “free“ from mobile company of your home country; you will have to pay for your calls and sms by yourself from your monthly money. 4. Laptop (if you need it). You will be able to use internet in your flat. We‘ll try that internet will be from the first days of your arrival, but if not, you‘ll be able to use internet in our office. And if you do not have computer you can always use internet or computer in coordinating organization office. 5. Medicine, if you need. 6. Warm clothes (also gloves, a scarf, a hat) and warm shoes (because winters are quite cold in Lithuania. September and beginning of October should be quite warm still). 7. It is good to have an umbrella and/or a raincoat (or you can buy all these things here in Vilnius). 8. 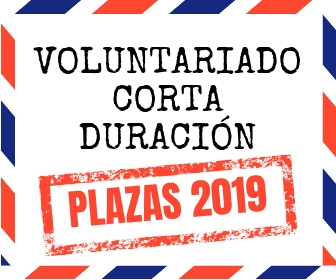 Maybe you can take something related with your country, because volunteers usually make their countries‘ presentation in the host organizations.  Please always talk with us if you have some problems.  Please be patient with us solving the problems and help us with it.  Please share your joyful moments too :).  Please respect people you will meet during your EVS.  Please help us to take care after our rented flats.  Please come on time to your host organization.  Please inform us if you want to change something.  Please try to use Lithuanian words from the beginning.  Please write e-mail every month to your sending organisation.  Please come to individual and common meetings organized by us.  Please (in your future) share your stories in our website.  Please remember that EVS is also non-formal learning programme. 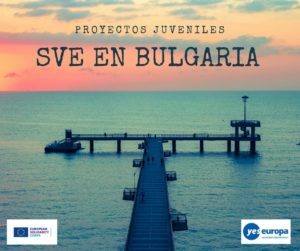 Hasta que fecha se pueden enviar solicitudes para este proyecto?